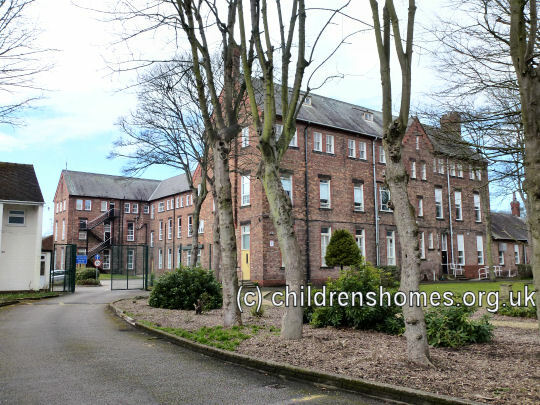 The St Anne's Industrial School for Roman Catholic Girls was established in 1867 at 63 Mason Street, Edge Hill, Liverpool. The premises, which consisted of a large house and playground, were formally certified for operation on June 13th, 1867. 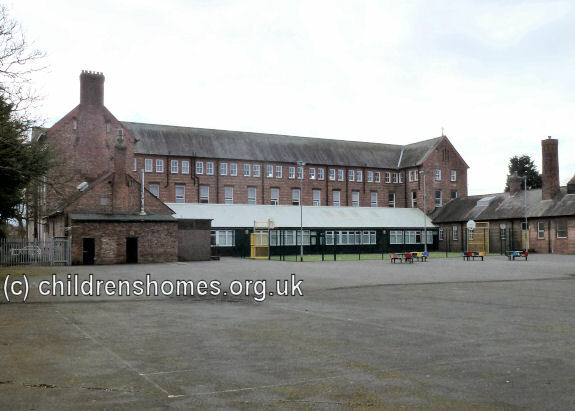 The first inmates were 16 girls transferred from the St George's Industrial School on West Derby Road, which was being converted to an all-boys institution. The School was run by four Sisters from the order of the Daughters of Charity of St Vincent de Paul, with Sister A. Voisin as the Superior. The number of inmates continued to increase. In May 1873, 165 girls were in residence, with the Sisters doing their best to make the best of the overcrowded premises, such as adding a play-shed in the playground. The staff now numbered nine Sisters. Sister de Pourtales withdrew from the management of the School and was replaced as superintendent by Sister Cécile Robinson. The older girls were now employed in washing and laundry work. 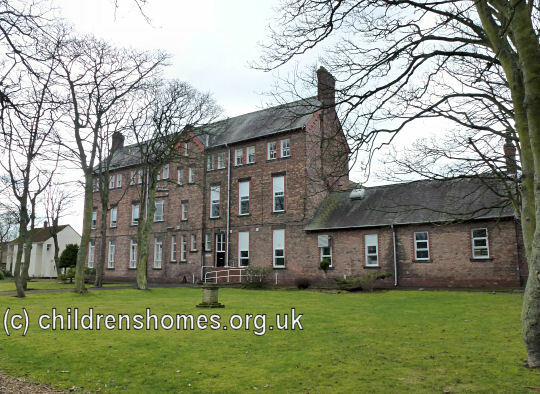 In 1885, work began on a new building for the School at West Lane, Freshfield, Formby, on a site donated by Mr Weld Blundell. The premises were certified for use on June 26th, 1886, with accommodation for 150. The girls were transferred from Mason Road to their new home the following month. The new School had an H-shaped layout, a design that had become popular for institutional buildings of this type. The School site is shown on the 1893 map below. St Anne's Industrial School site, Freshfield, Formby, c.1893. The initial staff at the new establishment comprised: Sister Cécile Robinson; nine Sisters of Charity; lay assistance for the laundry, kitchen, and work-rooms; chaplain. Most of the lay assistants were former 'old girls' of the institution. The new building was said to have a good schoolroom and classroom, excellent workrooms, a good laundry and plenty of space for exercise. The only problem found with the premises was that the flat terrain lacked any fall and that drainage had to be into cesspools. As before, the industrial work included knitting and needlework. The girls made their own clothing and outfits, together with the shirts for the Beacon Lane Industrial School. Some outside work was also taken in. About 28 of the older girls were employed in the laundry and in ironing. In 1889, Sister Cécile Robinson was removed to other duties. She was succeeded as superintendent by Catherine O'Grady who encounter some initial difficulties, as both children and staff had been very attached to Sister Cécile. By the following year, Sister Winifred Dymock had become superintendent. A report in 1897 praised the training that was given for domestic service. The plain and fancy needlework, dressmaking etc. were of a high standard, and the crewel work done was highly artistic. The large laundry employed most of the older girls, where washing was done for some 26 private families. Good situations were found for the girls and they were encouraged to return and visit the school. About 31 had come to the last annual reunion. There was now a paved playground, and a large recreation room (90 feet by 24 feet) had recently been erected. Frequent walks were taken to the seashore, and the younger children were taken out every fine day. Entertainment, concerts and 'niggers', etc. were given in the winter, and there were a few books for the older girls to read. Dolls and toys were provided for the younger children. A quantity of poultry was kept. There was a mark system in operation, with small rewards being given for good conduct. In 1901, it was recorded that 12 of the senior girls were having a course of cookery and domestic economy lessons. A special feature was made of laying a dinner table in proper style by two girls in the schoolroom. The girls gave a display of musical drill in the recreation hall. During the summer the shore was frequently visited, and bathing sometimes indulged in. A pony and cart had been provided for the smallest children to be taken out in by a senior girl. There had been several entertainments and treats, including a visit to one of the Liverpool pantomimes. Following the death of Sister Winifred Dymock, Sister Emma Petre became superintendent on August 10th, 1910. The School closed in 1922. The premises were then taken over by St George's Industrial School for Roman Catholic Boys. 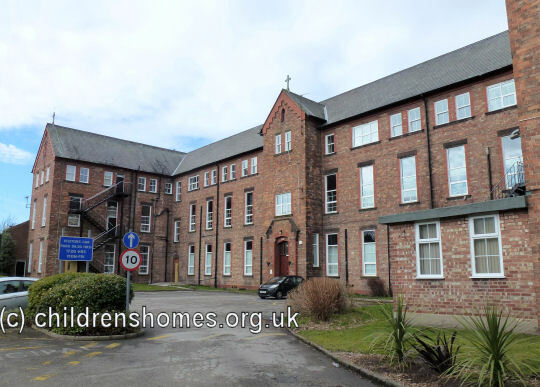 The site is now home to Clarence High School which provides residential and day facilities for young people who experience social, emotional and behavioural difficulties. Nugent Care, 99 Edge Lane, Liverpool L7 2PE. Liverpool Archives, 3rd Floor, Central Library, William Brown Street, L3 8EW. Now holds the Society's "historical" records and also those of the Catholic Emigration Association which emigrated children from the Society's establishments.